Light to hold, but large enough to hold individual servings of ramen, pasta, or udon, this Japan-made ceramic noodle bowl is both simple and unique. Handmade with exceptional ceramic, every bowl that is produced is different from the next, making your purchase truly one-of-a-kind. Dishwasher and microwave safe, this bowl saves you time in both food preparation and cleanup. Colored a pale green with sprinkles of a light blue color, this beautiful ceramic noodle bowl is reminiscent of Spanish moss growing by the waterside. Adorned with a light brown rim, the earthen feel that this bowl provides makes it the perfect bowl for nature-lovers and those who are looking for a natural addition to their tableware. 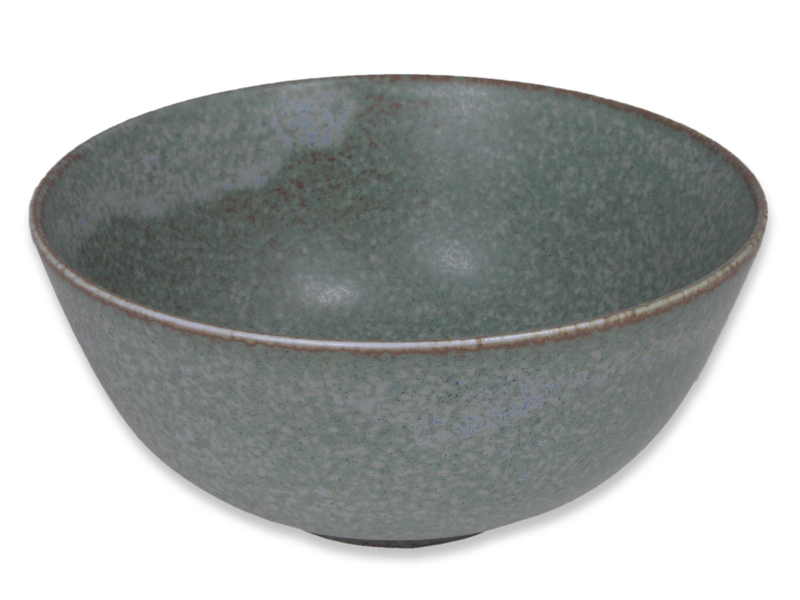 With its papery, smooth texture, this medium sized bowl has extraordinary versatility, durability, and functionality. Similar to other products in the Moss Green Collection, this ceramic noodle bowl gives you the chance to bring the allure of nature to every meal.